It can be hard to find the right gift for little ones. Often they already have more toys than they play with and the weather limits fun activities! 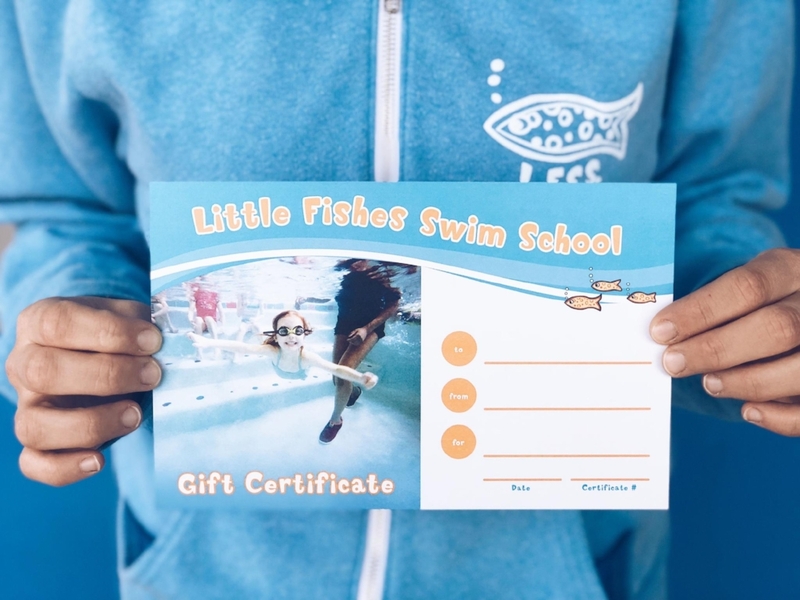 But if your kiddo is a little fish they’ll love these gift ideas! This holiday season tell friends and grandparents to skip the toys! Give them a better gift option! Your little fish will love the fun opportunity to get their winter wiggles out in our warm pools! —->We offer gift cards for any amount and they’re available for purchase online here! We’ve found many of our kiddos love using Frogglez and Speedo goggles in our pools for the comfort of our swimmers! Make the post-swim transition something your little one enjoys with hooded towels like these from Company Kids. Swimming usually means leaving with that lovely scent of chlorine. While we maintain our pools without the typical chlorine systems, those who swim on a regular basis, will start facing hair damage issues eventually. Take the fun home! Anything that makes your little fish move in the water will help them improve their swim skills. While playing games, kids develop secondary skills like breath control and balance that help them become more confident and safer swimmers. Check out our blog post How Pool Toys Help Develop Swim Skills and Bathtub Games that Boost Your Child's Swim Skills to learn more!